While some PARENTS feel they lose their ability to control their children’s behavior during adolescence, research tells us the number one reason kids tell us they don’t drink is because they know their parents will disapprove of their decision. Here is a great guide on how to talk to your child about this important issue. Do your kids know you disapprove of their choice to use substances including alcohol? Would they know what to do if they found themselves at a gathering where alcohol was being served? Would they know what to expect if they called you for help? Would they know what your consequences would be if you discovered they were using substances? Do your kids receive confusing messages regarding substance use by adults in their lives? Are you worried a child may be using? Visit the National Council on Alcoholism and Drug Dependence at for a list of physical, behavioral, and psychological signs a child may be using substances. How to Create a Productive Dialog About Addiction has a lot of very informative links addressing stigma, data and stats about addiction, changing the way we look at addiction, etc. Start Your Recovery has information about addiction, signs of a problem, encouraging a loved one to seek treatment, and how to help a loved one live sober. Here is a list of treatment facilities in Helena and the northwest. 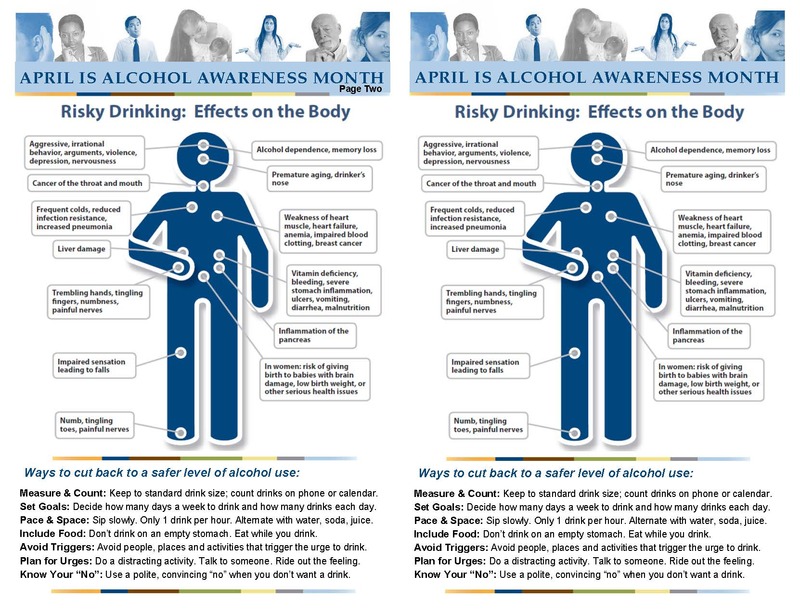 For additional information on what alcoholism is and how to get help, visit this Alcohol Rehab Guide. Guide for finding the right place after recovery. Holistic approach to the addiction recovery process. Supports initiatives to reduce the demand for drugs and give assistance to community coalitions and drug prevention initiatives. DEA's website for teens, JustThinkTwice.com provides credible information about the harmful effects of drug use. The site includes information about various drugs, including facts and fiction about drugs, the consequences of drug use, as well as topics about addiction, impaired driving, and true stories about teens that have had drug problems. DEA's website for parents, GetSmartAboutDrugs.com provides valuable drug education information for parents, educators, and caregivers to further help identify drug use, drug paraphernalia, warning signs of drug use, and the harmful side effects of the most commonly abused drugs. DEA's website, campusdrugprevention.gov was created to support drug abuse prevention programs on college campuses and in surrounding communities. ln addition, it serves as a useful tool for college students, parents, and others involved in campus communities. Operation Prevention (operationprevention.com) is an initiative brought to you by the DEA and Discovery Education to educate elementary, middle, and high school students about the true impacts of prescription opioid misuse and heroin use. Since 1982, DEA has partnered with the Elks Drug Awareness Program (elksdap.org) to address leading drug abuse issues facing communities today. Do you know what your kids are talking about? Learn common drug slang. The good news is that you can influence whether or not your child uses alcohol or drugs. Taking a clear stand against substance use by talking with children early is a good place to start. This resource guide has a lot of the information you will need. Parents play a vital role in preventing underage drinking and substance use. Information about how you can prevent underage drinking. Let's Face It is a website for Montana parents to help start the conversation about underage drinking. Let's face it, it's difficult to start a conversation about alcohol use; the important thing is that you start. Learn more about specific drugs being used by today’s youth. Or search by substance and find information on the science behind drug abuse and addiction. Montana’s kids report some of the highest rates of prescription drug use in the nation. Learn how to protect your kids from prescription drug use. The prevailing theory on what factors drive a young person to consume alcohol or use drugs early on is known as the problem-behavior theory (PBT). Learn why they may choose to use. The National Association for Children of Alcoholics, provides resources to children and families. Here is material to guide conversations with your children. Here's a teen friendly web-site that you can visit as a family! Here is a guide to talking to kids about addiction. American Lung Association has information to help smokers quit. Partnership for Drug Free Kids has resources to reduce teen substance abuse and support families impacted by addiction. For information on drugged driving, prevention and prescription drug abuse visit the Office of National Drug Control Policy. For drug information and prevention resources, visit the DEA's site. Utility guide for parents about Over-the Counter drugs. This presentation is by Dr. Bertha Madras, Professor of Psychobiology, Department of Psychiatry at Harvard Medical School. She explains exactly what marijuana does to the brain in a way the general public can understand. https://www.drugrehab.com/guides/parents/ It provides a general overview for parents while also sharing details about talking to a child or teen about substance abuse as well as where they can find help. Watch this video by Dr. Robert DuPont, Founding President of the Institute of Behavior Health, Inc. about alcohol, tobacco and marijuana being gateway drugs. Are you up to date on Marijuana Policy? Here is all the information you need to know. Reading The Signs: How To Tell If Your Child Is Using Drugs. Signs, symptoms, and what to do if you suspect someone is using.